Brittany Thomas | the blog: casual friday | essential oils, make-up, and living without a t.v. casual friday | essential oils, make-up, and living without a t.v. Happy Casual Friday, ya'll! This is the first official Casual Friday on the blog because I'm the boss and I decide what goes on around here. Although I am feeling a little bit of spite for my old job that revoked Casual Friday because they thought letting people wear Hawaiian shirts in their cubicles was bad for business, but I digress. I thought about calling it Monday Mashup like every other blogger in the universe, but sigh, that's so overdone. Writing about a boatload of random stuff that popped into my mind throughout the week is probably beneficial to absolutely no one, but I know I like reading them, and maybe you will, too? So...let us chart a new course of Friday blogging, friends! Writing, Writing, Writing - Did you know I used to be a food writer? I wrote for a local newspaper and I had a semi-successful stint in the food writing world - I even got halfway through a Master's program in Professional Writing before deciding I really didn't like the editing side and it was a LOT of editing. But I do miss it and I'm grateful I get to do a little writing here, but I have been thinking about food writing especially, and I want to do more of it. Would anyone complain if a recipe popped up here now and again? I am really terrible at applying makeup. I see girls with smokey eyes and fun lip colors, but I just can't do it. The colors always look wrong and my eyes get red and watery and I always feel like lipstick makes me look like I'm trying too hard. But one time, after a good cry lined my eyes with running mascara, I got a few compliments so every now and again I try some eyeliner. I feel like Cleopatra. Lavender, peppermint, and lemon, oh my! I got my first order of doTerra essential oils this week and I'm excited to start using them in place of so many harsh, chemical-based things. 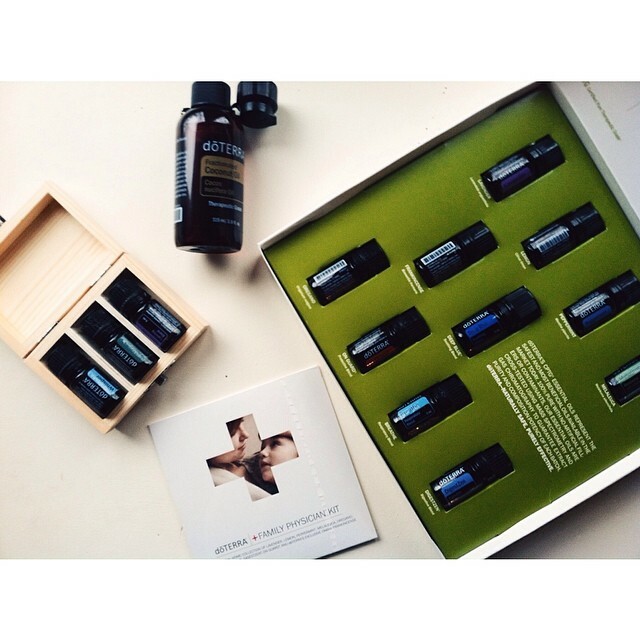 My husband asked if I bought them from Professor Marvel - and I will tell you that I am a seriously skeptical person, but considering essential oils were around for thousands of years before modern medicine, I'm willing to swallow a few drops of Frankincense knowing it was good enough for the baby Jesus. Lastly, we don't have a television. (What!?) I know, we're freaks. We used to have one downstairs, but then we sold it to my sister and her husband with the intention to get another one...which never happened. That was last July. And you know what? We don't miss it. We have a subscription to Netflix and we watch shows or movies on the computer whenever we want and we don't lose hours mindlessly channel surfing. Although we watched Men in Black 2 last weekend and I wish I could get those two hours of my life back. Just awful. We do miss Cutthroat Kitchen - Alton is a stud. P.S. How sweet is my new little logo up top!? It is part of my mini-brand makeover, so stay tuned for an updated website to match. Weee! Been using peppermint and clove oil for 2 months. Good stuff. Id imagine Jesus (baby version) was a fan of both.